November ushers in colder weather, but that doesn’t stop people from going out for the annual turkey shoot. We don’t shoot turkeys, but those who have the highest scores shooting targets win frozen turkeys. The 16th annual event will be held Saturday, November 18th, starting at 9 a.m. Adult and youth categories are available, with archery, rifle, pistol, and shotgun events. It’s $5 to enter each event, with at least five signed up for an event to go. It usually is an all-day affair, with food concessions available. Proceeds go to the Snake Valley Volunteer Fire and EMS Department. 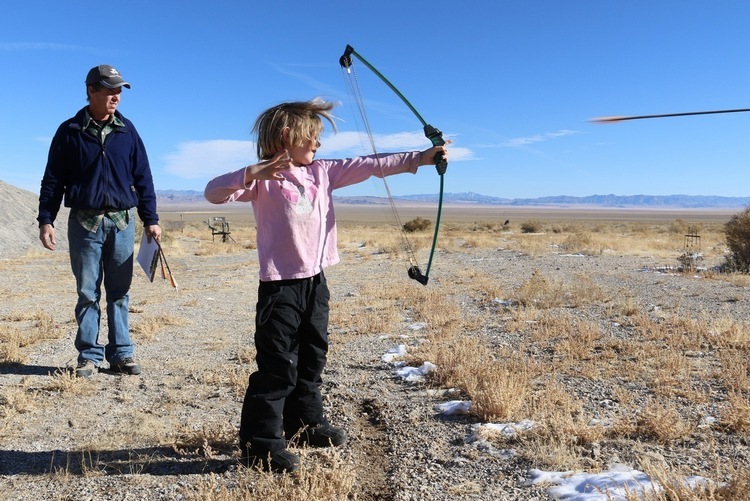 The kids’ archery competition is a popular part of Baker’s annual turkey shoot, too. Speaking of turkeys, there are many wild turkeys in the area. That wasn’t always the case. Before 2004, there were no turkeys in the area. 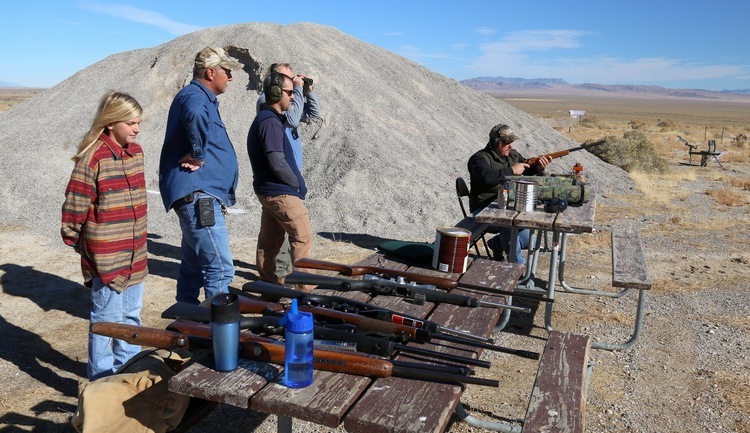 But in January of that year, the Nevada Department of Wildlife released wild turkeys on private land outside the park to provide another hunting opportunity. But instead of using the lower elevation subspecies, they used a mountain subspecies, and the wild turkeys quickly went uphill into the national park, where hunting isn’t allowed. Predators have not been able to keep up, and turkeys are seen in all the watersheds in the park, including high above the sub-alpine lakes. During the winter months, large groups often congregate in Upper Lehman Campground, roosting in the trees. Wild turkeys are now one of the most-seen wildlife species in the park. But they come with problems, such as eating native wildlife and possibly outcompeting native birds. You can read more in this RJ article. Another big event in the community in November happens right after Turkey Day. The Border Inn sponsors its Annual Craft Fair on the Saturday after Thanksgiving. Vendors offer handmade crafts, baked goods, and more. It’s a great place to support Small Business Saturday and get a start on Christmas shopping! Great Basin National Park stays open year-round, although roads at higher elevations close. You can still snowshoe or ski anywhere. 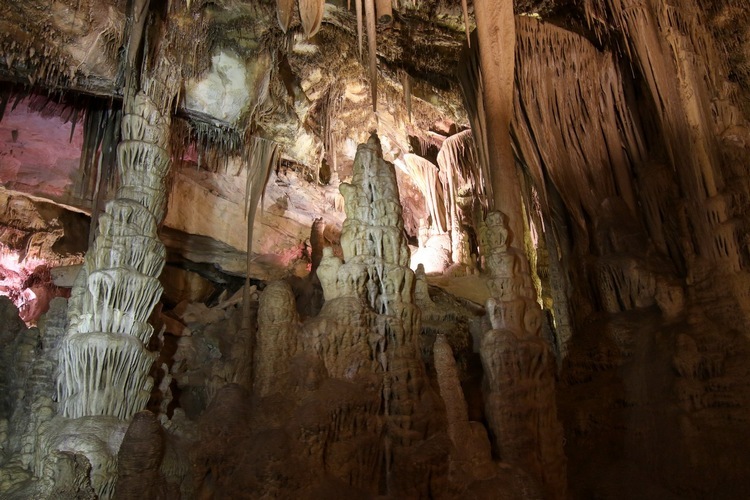 And if you want to escape the cold, tours of Lehman Caves, which stay a constant 52 degrees Fahrenheit, are available every day. The tour schedule is limited, though, with one tour a day, at 1 p.m., on weekdays, and a second tour, at 9 a.m., on weekends. You can reserve tickets ahead of time on recreation.gov.